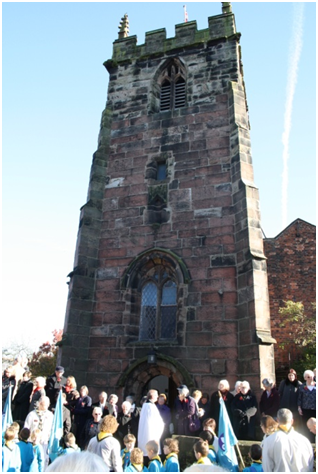 One of the pleasures of living in Holmes Chapel is hearing the bells of St Luke’s as they call worshippers to church and mark special occasions, both happy and sad. 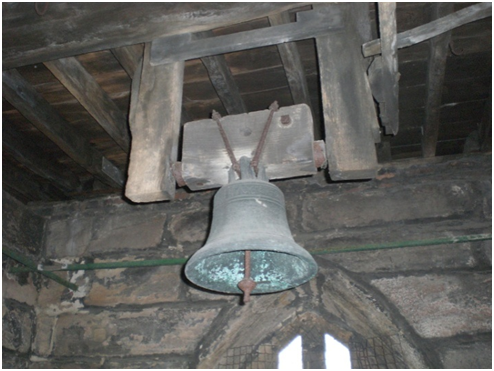 The bells have a long and interesting history. There are seven in total, six of them dating back to the early years of the eighteenth century, though one was recast in 1858 and the original inscription replaced by the founder’s name: G. Mears of London. The seventh bell was cast by the same firm and bears the same date and inscription. The religious and political disagreements which had led to the Glorious Revolution of 1688 had not diminished by the reign of Queen Anne (1702 – 1714). The French King Louis XIV sought to dominate Europe and restore the Catholic Stuarts to the English throne. Thus, with this quotation, Daniel Cotton was able to demonstrate his loyalty to the Crown and keep the villagers of Holmes Chapel informed of the great events of the time.